Golf in the Costa Del Sol is a study in luxury, and the area itself a study in contrasts. Spain’s famous ‘sun coast’ was populated entirely by small fishing villages not long ago, but extensive developments over the last 60 years have introduced everything from the rich and loud Marbella, through family friendly Benalmádena, and back to the quiet Estepona which remains staunchly small and Spanish. Whether you chose to golf near Malaga or Benalmádena, know that golf along the sunshine coast is excellent, and the resorts friendly and welcoming. 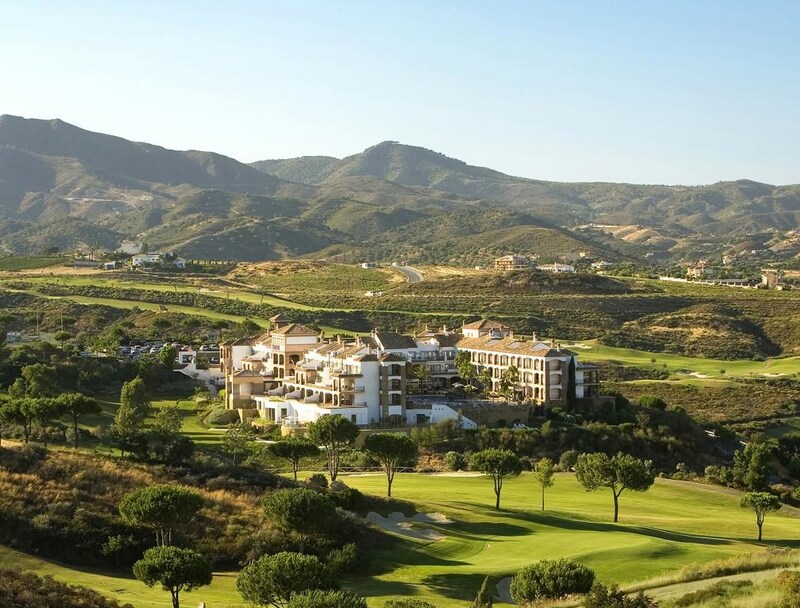 Our favourite from our Golf Travel Experts has to be the gorgeous, 107 bedroom resort of La Cala Golf Resort. renowned for being one of the best golf resorts in Spain, La Cala offers three championship courses. Challenging games set in the idyllic backdrop of the tranquil area of Mijas, this is far and away our favourite course on the coast. What you do when your off the course is ultimately up to your taste in the Costa Del Sol. If you like walking and natural landscapes, we recommend the Sierra de las Nieves Natural Park. If your with family, the Bioparc Fuengirola is great for the kids: a zoo with animals and birds in naturalistic enclosures, this zoo is well curated and welcoming. When is the Best Time to Golf in the Costa Del Sol? Average temperatures rarely fall below double figures in this Southern region of Spain, meaning that you are almost guaranteed sun and heat throughout your game. The best time to golf in the Costa Del Sol depends on you. For great weather and fewer crowds however, we recommend visiting between March and May.